Purchasing this particular model however came out of a challenge suggested at a meeting of the Royal Photographic Society South West Region. The idea was to take some photographs in the style of Vivian Maier and/or Lee Miller. Unfortunately I couldn’t attend the meeting where the two photographers were discussed as I was in Iceland. However, I did do my homework and the Vivian Maier story particularly captured my imagination. I watched a couple of documentaries and was fascinated by this photographer’s life and how her amazing life’s work didn’t come to light until her death. Vivian Maier took pictures with a Rolleiflex Twin Lens Reflex (TLR) a camera I knew little about other than the name. I was really taken with the design and whilst not having too much success taking pictures in the style of Vivian Maier, I thought the least I could do was take some pictures with a similar camera to Vivian Maier. There is something particularly romantic to me about this classic design. The special feature of TLR cameras is that they have two lenses of the same focal length with their focal planes aligned. The lens at the bottom of the camera is the one that takes the picture (often called the ‘taking lens’), while the other is used in the viewfinder system. I’ve taken just the one film so far with this camera, using Ilford Pan Plus 50, developed in Ilfosol 3. I didn’t realise when I chose Pan F Plus 50 that it’s considered a difficult film to use. It has a very fine grain and produces fine detail but does have a tendency to be a bit contrasty apparently. I have been advised to over-expose (set ASA rating to 25 rather than 50) and to shorten the developing time. As this was the first, however, I went with standard settings and the recommended developing times. This entry was posted on February 2, 2015 by Chillbrook. 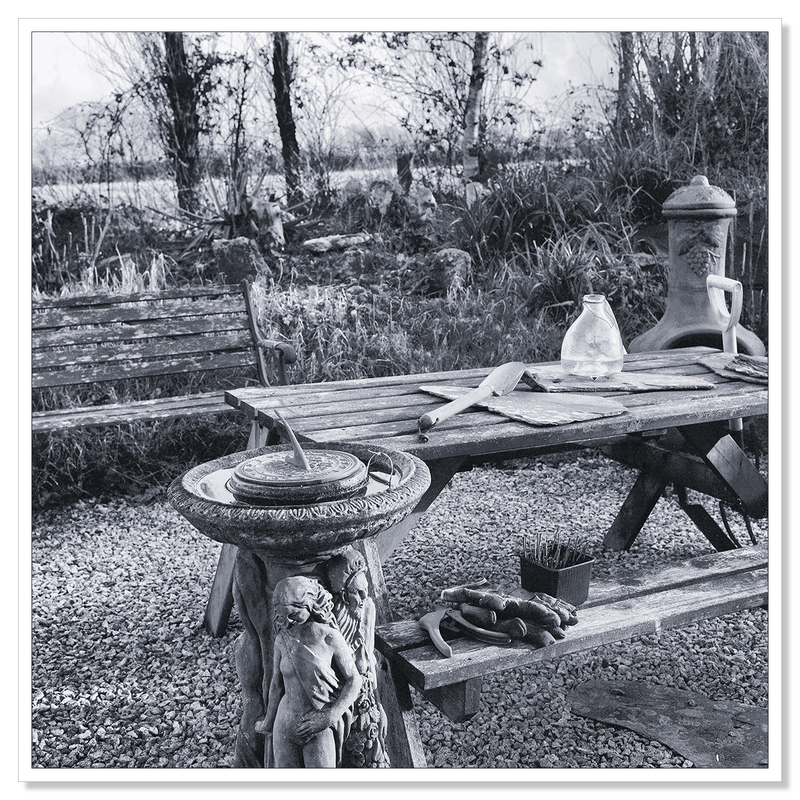 It was filed under Photography, Photography and Travel and was tagged with Adrian Theze, Black and White photography, Chillbrook Farm, Cornwall Photographic, Film Photography, Rolleiflex, Teasel, Tulip, Vintage Photography. Beautiful Adrian! Wonderful soft sharp tones. Just had a view on my iPhone but will have a bigger look. Great challenge and experiment. Keep it up! I agree with you! It enlarges your scope! Looking forward ( as always D800 or Flex or … ) to more of your work! As always a pleasure Adrian! Glad to hear it keeps your spirits up! What a piece of history ~ and to go through the ‘real’ processing of these shots must feel tremendous…the tulip photo is very impressive. Thank you Randall. I think this is a nice combination, processing the negatives and then digitalising them. I hope to get around to ‘printing’ for real at some point but for now this is a good working compromise. I love these old cameras. They have real character and I think the photos reflect that. As I said to Chris, I’ll not be giving up my D800 but I am enjoying working with film.
. . . and then I remember . . . film. You got to really love it to enjoy it, and I never did. So, nice photos. I especially like the birdbath/sundial combination. Thanks Emilio. You cetainly do have to love it to enjoy it. It’s a lot of work compared to digital but developing negatives isn’t so hard and then scanning them into the computer takes away the need to print in the old fashioned way. I hope to get around to that simply because the process interests me but this a complimentary pastime for me, it cetainly won’t replace my digital work. This brings back a lot of memories. The pics look very good. The advice given to you about the film sounds about right. I regretted selling mine a few years after it went. Always thought the pictures from it had a certain ‘bite’ to them. Lovely lens, lovely camera to use, certainly encouraged you to take your time and the results always showed this. Thank you David. I’m enjoying the process very much and I think you’re right, each picture requires just that little more thought and I do think it shows in the results. It’s certainly nice to be working with grain as opposed to digital noise. your work is simply spectacular. I always enjoy your blogs but this time you hit it out of the park! Thank you so much Austin. That’s very kind of you to say. Absolutely great photos! Working with the old cameras must be thrilling. 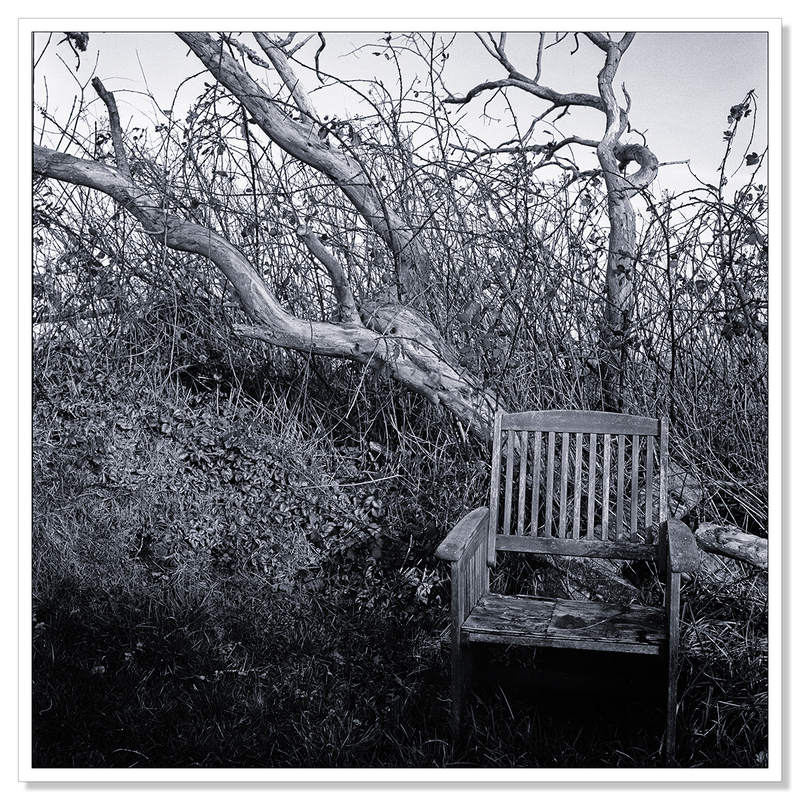 I especially love the third photo with the bench; just something about the light in that one that I like. Wow, my dad used to photograph weddings with the Rollies! They are things of beauty, not my favorite to shoot with, but they were always my favorites to play with. Very! He had two, a wide angle and an 85mm, I believe, not sure about the focal length, but when he used it the backgrounds were marvelous. I can imagine Dave. I’m very much looking forward to getting to know the camera. Remember the camera well. Still have it. It is indeed Joshi, thank you! your experimenting is coming on in leaps and bounds and your Tulip/Teasel shot is gorgeous! Thank you very much Noeline! I was particularly pleased with the tulip shot. I think the grain in the film gives the picture a really nice quality. I’ve not done much still life but I’ve a feeling this camera is going to be well suited to it. One word:WOWWWW! !No,….one word is not enough:beautiful pictures!! I really like the graininess in the tulip shot Adrian……it looks like a pencil drawing. Wow, I don’t know what to say. Some folk actually like underexposed. Me, for example. 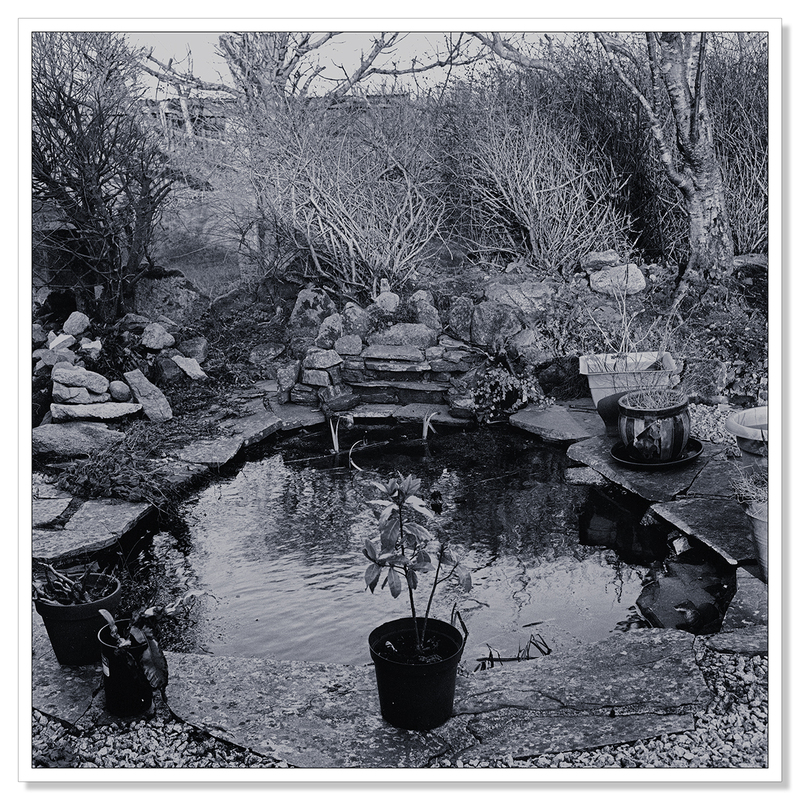 A digital camera could never give you these results, I can get a drawing to look better than a black and white photo from a digital camera, but with this old film camera I could not be certain, I think I has me beat! I enjoyed them very much. While each piece of equipment lends you flexibility, your great eye and skill quarantees a great image. 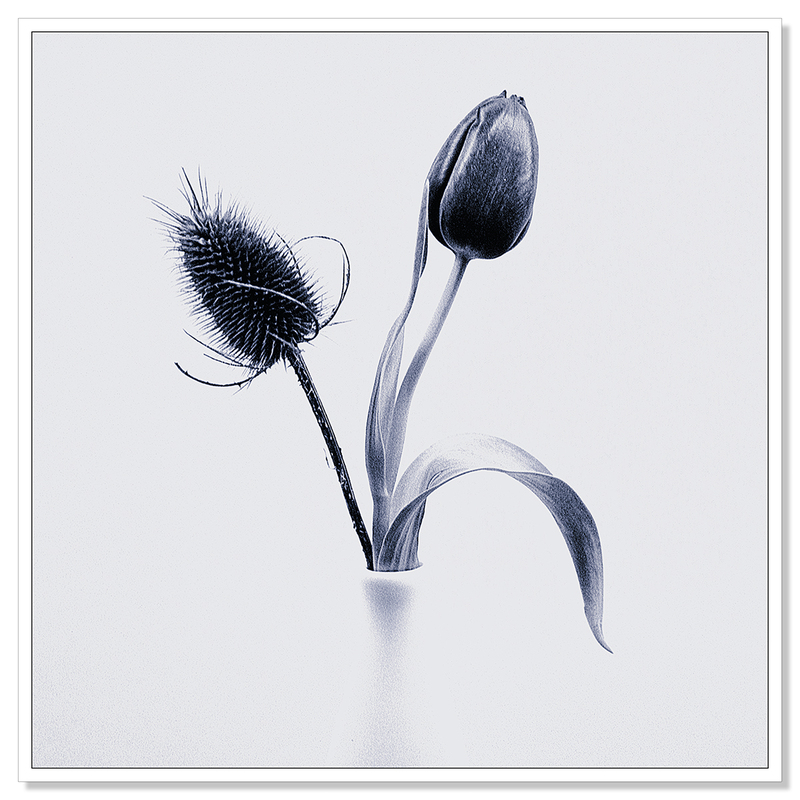 Love B&W Chill and the first photograph was stunning show of elegance. Thank you so much Mary! I’m enjoying the older cameras and exploring black and white film a lot! Nice set Adrian; lots of work went into this series and it shows. Wishing you many more great images with your TLR. What fun – I’m happy for you. Such a different process. The floral still life is superb, and I also like the wooden chair shot very much. Looking forward to more, and yes, it makes me happy, too! These are great, Adrian! I especially love the tulip & teasel, it’s so beautiful. :) A couple of weeks ago I went to the exhibition “Finding Vivian Maier”, her photographs were fantastic, especially those taken with the Rolleiflex I think. This is so beautiful, Adrian… thank you for showing us! Thank you very much Lily, that’s very kind! I think your followers are enjoying your camera play as much as you are Adrian. I just love that tulip shot – very Georgia O’Keefe I think. 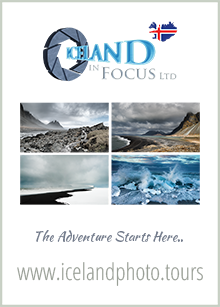 Looking forward to seeing some Iceland shots tho! Thank you Tina. I hope that people are enjoying my vintage camera experimentation. I seem to have got the developing side under control. I need to start thinking about printing some of these negatives but that a whole other story. Iceland is just two weeks away today. It’s looking very snowy just at the moment. A stark contrast to my last visit. Snowy sounds like great photos in the making Adrian! Adrian, what a wonderful set and how exciting to be shooting with a Rollieflex. The first image has a grace and clarity that really made me stop and enjoy its beauty. The Vivian Maier documentary is not to be missed. Incredible street photography. Thank you Jane. Vivian Maier’s photography was amazing and what struck me most was she took photographs for herself, because that’s what she loved to do. For no other reason. From what I gather about her, I doubt she’d have even had a blog, had such things been available to her. Beautiful work Adrian, it’s great to see these images made with the Rolleiflex. Look forward to seeing a lot more. Love Vivian Maier’s work too! Thank you very much Simon. I’m looking forward to taking a lot more pictures with the Rolleiflex. It’s quite a character! The tulip and teasel is lovely, and I like the detail of that last image of the garden table etc,,, enjoy the camera! 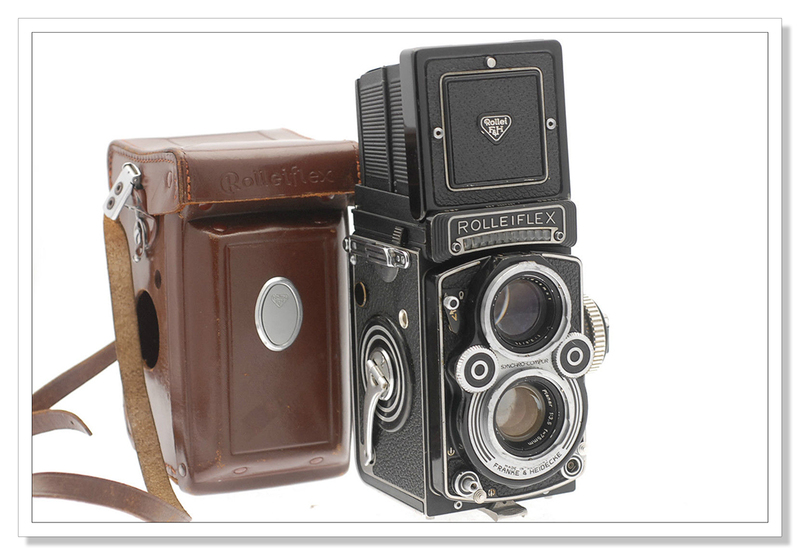 I passed up the offer of a roleiflex a while ago as I really don’t want to get back into film!! 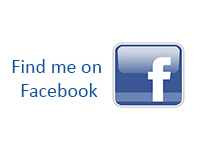 NB WordPress unfollowed me so I am just catching up on some of your posts! Very beautiful photos. Photos are very inspire to me that and I try to make photos in black and white. These images really prove that you don’t need modern ‘high tech’ digital to produce beautiful images Adrian. I’m starting to feel guilty that all my old cameras are languishing in cupboards, unused. I think I will stick with digital though. Beautiful work. These are full of stories. Thank you very much Karen. I love the Rolleiflex particularly!